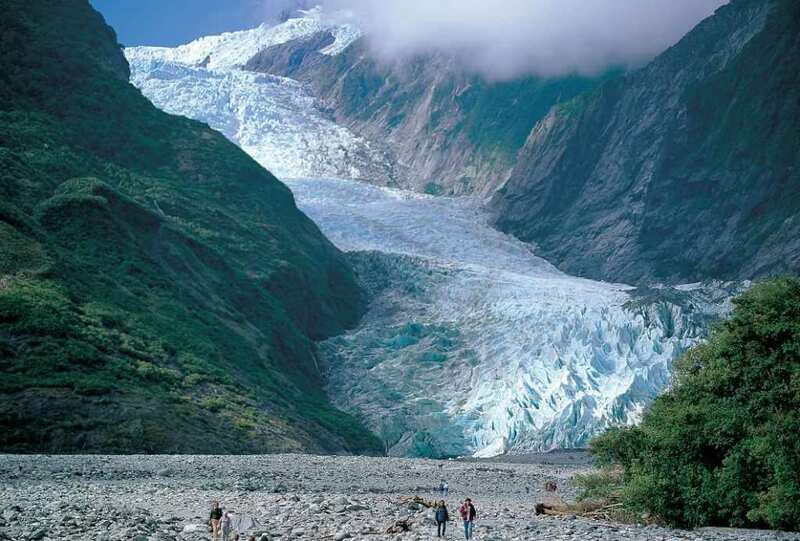 Take an exciting scenic Franz Josef Glacier flight with Air Safaris from their base at Franz Josef Glacier within the Westland National Park – a fantastic South Island West Coast flight seeing attraction. The Grand Traverse scenic flight from Franz Josef provides the best way to experience this glacial environment in its entirety. The Franz Josef Glacier flight includes an incredible view of the mighty Franz Josef Glacier, the Fox Glacier and the rugged Westland National Park. Your flight then journeys across Mount Cook and the main divide to explore the vast Mount Cook National Park encompassing two World Heritage National Parks and 200 km of New Zealand’s most memorable and breathtaking scenery. The aircraft on your Franz Josef Glacier flight is operated by Air Safaris and is ideal for New Zealand’s conditions, offering a window seat for every passenger and having wings-above to ensure unobstructed viewing below. Your pilot will provide an informative and enjoyable commentary in addition to all passengers receiving the Air Safaris multi-language flight-guide.